Take a side trip to Delhi's Chandni Chowk with food blogger Mister Tikku and then on to Connaught Place to see what the trendy restaurants are doing to update street food classics. I took a food tour of Delhi with food blogger, Gurpreet Singh Tikku, aka Mister Tikku. A more passionate foodie I have never met. We started in Connaught Place, Delhi's tourist hub, to take the jam-packed metro to Old Delhi to the Chandni Chowk market. After sampling the chole chawal, the tour takes a turn towards the sweet. A thick, sweet lassi looks as rich as an ice cream milkshake. 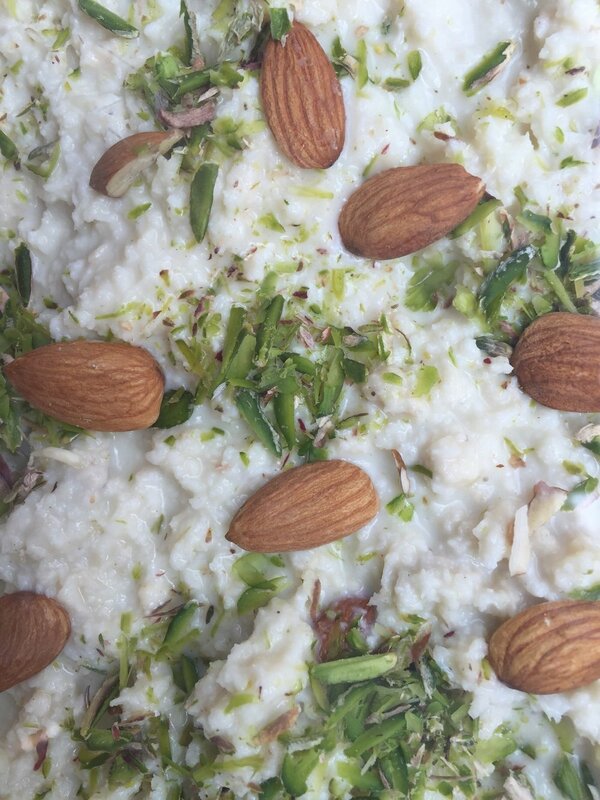 Phirni, a rice pudding, is artfully dotted with almonds and pistachios. A unique treat at Jain Coffee House -- a fresh fruit sandwich. I would never have found Farzi Café in Delhi's Connaught Place without a guide as the entrance to the restaurant is inside a clothing store. Farzi Café is large and brimming with energy, the décor dramatic. 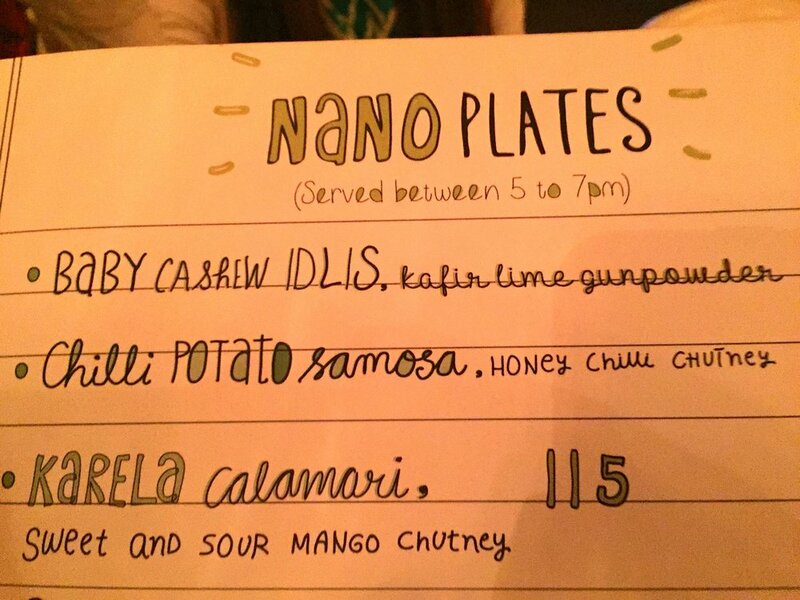 The menu was whimsical and promised, truthfully, that “every dish has its own history and a story to tell.” Mister Tikku explained that the restaurant’s popularity is due to a menu that features the staples of every Indian’s childhood – kachori, bhel, and idlis – served with a contemporary flare. And a generous dose of theatrics, I might add. Dehli's Farzi Cafe makes dining out a theatrical experience. Just look at how they prepared my drink by infusing the gin with smoke from burning Jack Daniel's casks. The contemporary flare includes the use of molecular gastronomy’s darling – foam. The Mini Raj Kachori, for example, is topped with cilantro chutney foam. Listen to chef Sainyam Kapoor as he explains Farzi’s Raj Kachori.